* History of Perennial Artisan Ales brew Cory King opening Side Project Brewery and Shared Brewing. Check out our podcasting host, Pinecast. Start your own podcast for free, no credit card required, forever. If you decide to upgrade, use coupon code r-a28fff for 40% off for 4 months, and support Barrel Chat Podcast. 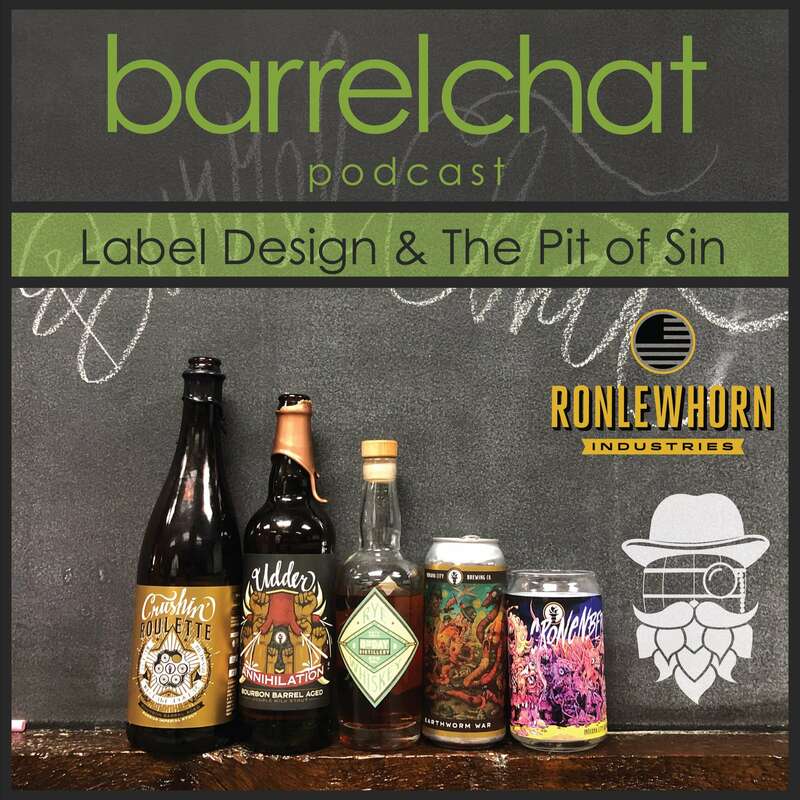 Sponsors: Kopacetic Beer FactoryGuest: Aaron Scamihorn, Beer Label ArtistDESCRIPTIONWhat we talked about:- Indiana City Brewing 2019 Udder Annihilation- Aaron explains how he came up with the label art for Udder Annihilation- How much freedom does Aaron have with designing beer labels?- Dustin talks about the beers he’s been drinking (Toppling Goliath, Daredevil)- Aaron talks about the beers he’s been drinking (Indiana City, Centerpoint)- How designing a label works when collaborating with another brewery/cidery’s artist?- Matt talks about the beers he’s been drinking (Triton, Toppling Goliath, Bell’s, Untitled Art, Dogfish Head, Fremont, and Rhinegeist)- Zombie Dust is available everywhere and not that special. Lower the price!- Indiana City Brewing Earthworm War- Aaron tells us how he got into the world of design- The story behind Aaron becoming the label designer for Indiana City Brewing- Doodle Crew creation story- Aaron’s favorite label- Indiana City Brewing 2017 Crushin Roulette- Our thoughts on label design and beer buying- Discussed 8th Day’s Rye Whiskey label designSupport the Show* Patreon* ThreadlessSocial Media Links* Facebook* IG* Twitter* WebsiteCheck out our podcasting host, Pinecast. Start your own podcast for free, no credit card required, forever. If you decide to upgrade, use coupon code r-a28fff for 40% off for 4 months, and support Barrel Chat Podcast. Sponsor: Kopacetic Beer FactoryGuest: Alena @acraftbeergirl on InstagramWe drank delicious Naturdays, Matt made an outrageous claim, Dustin talks Florida beers, Ant is all about Retronasal tasting, and Alena explains life as a Instagram Beer Model.What we talked about:Natural Light NaturdaysIndiana City Brewing Co. Früt BrütBeer TradingTreehouse Double Shot: EspressoHow Alena got started as an Instagram beer model & beer tradingIndiana’s antiquated beer lawsTreehouse Somewhere Something Incredible is Waiting to be KnownAnt explains RetronasualingMore about Instagram beer modelsAlena’s neighbors likely think she is a pornstarPatreon Shoutouts and Hotel Tango Victor VodkaTrillium Brewing Co./Monkish Brewing <Insert Hip Hop Reference There>The fun side of beer release linesDid you know you can drink in public legally in Indiana? Matt didn’t.Trillium Brewing Co. Stillings Street DDH IPABeers Dustin drank in Florida on vacationSupport the ShowPatreonThreadlessSocial Media LinksFacebookIGTwitterWebsiteCheck out our podcasting host, Pinecast. Start your own podcast for free, no credit card required, forever. If you decide to upgrade, use coupon code r-a28fff for 40% off for 4 months, and support Barrel Chat Podcast. DJ Calypso HopSponsors: Kopacetic Beer Factory We dove into a plethora of IPAs on this episode, discussed Founder's comments on the lawsuit, and learned Trent plans to get a Tramp Stamp.What we talked about:* Can we change Monticello, IN to Barrel Chat, IN? 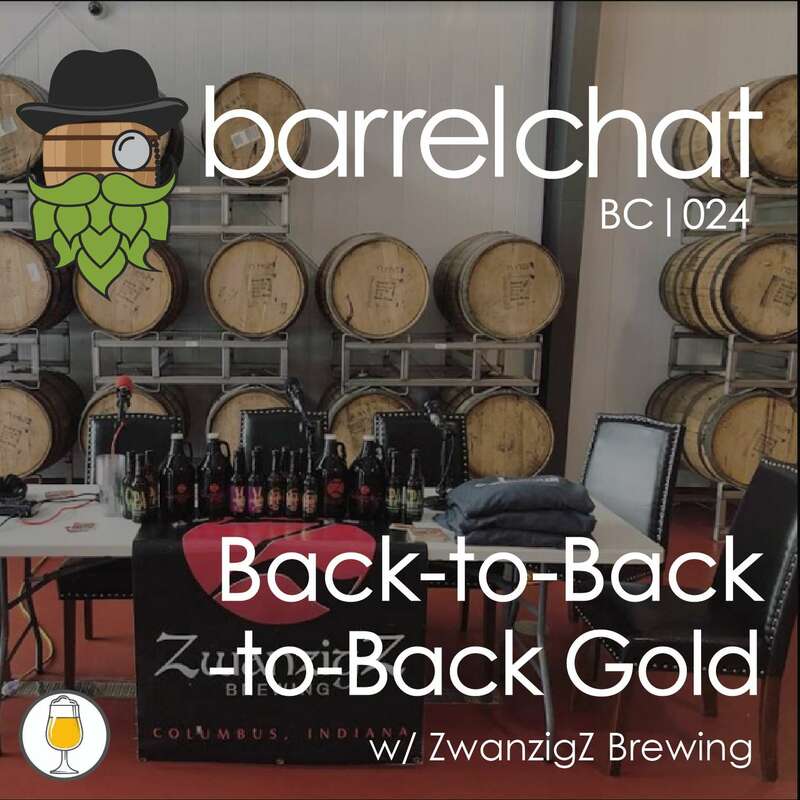 How about just getting a National Barrel Chat Day in Monticello? * Indiana City Brewing Cacti City DDH IPA* BrewLinks Brewery You Cereal Beer, what’s it all about? * Rochester Mills Lush Milkshake IPA* Founders Brewing’s rebuttal to Tracy Evan’s lawsuit claims* Patreon Shoutouts & Hotel Tango Victor Vodka* Random tangent about documentaries* Old Nation Brut IPA* Thought’s on 450 North’s new Sour IPA series* Hoosier Brewing’s Haze Head IPA* What’s everyone been drinking? * Transient Artisan Ales The Juice is Loose Double IPA* Trent’s Tramp StampSupport the Show* Patreon* ThreadlessSocial Media Links* Facebook* IG* Twitter* WebsiteCheck out our podcasting host, Pinecast. Start your own podcast for free, no credit card required, forever. If you decide to upgrade, use coupon code r-a28fff for 40% off for 4 months, and support Barrel Chat Podcast. Hosts: Matt Muncy, Dustin Wood, Ant BlairGuest: Trent Fleener, ZwanzigZ Assistant BrewerSponsors: Kopacetic Beer Factory We changed it up on you this week by drinking a House Beer AND a Whale. We also decided to ditch the regular naming convention (we shall see if that sticks) because episode numbers are pointless and Swamp Ape was too good to pass up.What we talked about:* Belching Beaver Peanut Butter Milk Stout* Matt’s First Beer Trade* Founders Racism Lawsuit* Patreon Shoutouts* Cardinal Spirits Biershnaps* Matt’s trip to Metazoa & Wabash Brewery* Sierra Nevada 2018 Narwhal Imperial Stout* What’s Ant & Dustin been drinking* Sierra Nevada 2014 Barrel Aged Narwhal Imperial Stout * ZwanzigZ bottling any big beers????? * How does ZwanzigZ make beer with actual bacon? * Matt’s wine tasting experienceSupport the Show* Patreon* ThreadlessSocial Media Links* Facebook* IG* Twitter* WebsiteCheck out our podcasting host, Pinecast. Start your own podcast for free, no credit card required, forever. If you decide to upgrade, use coupon code r-a28fff for 40% off for 4 months, and support Barrel Chat Podcast. Barrel Chat EP. 24: Back-to-Back-to-Back Gold w/ZwanzigZ Pizzeria & BreweryMatt, Dustin, and Ant traveled to Columbus, IN to find out more about ZwanzigZ. They learned about the brewery from head brewer Mike Rybinski and assistant brewer Trent Fleener. Halfway through the episode, ZwanzigZ's owner Kurt Zwanzig dropped by and we learned about the history of the pizzeria. The entire story sounds like a movie script.What we talked about:* ZwanzigZ Columbus Pale Ale* Mike’s brewing backstory (get ready to be captivated)* Why they invested in a larger brewing space * How Chocolate Chocolate Chocolate was invented* Story behind the inspiration to create the award-winning Ghost Pepper beer* ZwanzigZ Brut IPA * Trent’s brewing backstory* ZwanzigZ Hippie Porter* Discussion on why a solid base beer is needed if you want to create a good beer with added flavors* Our thoughts on the ZwanzigZ Milkshake IPA from Winterfest * As a brewer how do you brew a brand new style for the first time* How does ZwanzigZ brew beer that tastes like it’s from a bigger brewery* What happens when the beer doesn’t hit their standard? * ZwanzigZ BA Scotch Ale* Heaven Hill Devils Cut* Kurt ZwanzigZ drops by to give us the backstory on ZwanzigZ Pizzeria before the brewerySupport the Show* Patreon* ThreadlessSocial Media Links* Facebook* IG* Twitter* WebsiteCheck out our podcasting host, Pinecast. Start your own podcast for free, no credit card required, forever. If you decide to upgrade, use coupon code r-a28fff for 40% off for 4 months, and support Barrel Chat Podcast. Pint-Size Promotion EP. 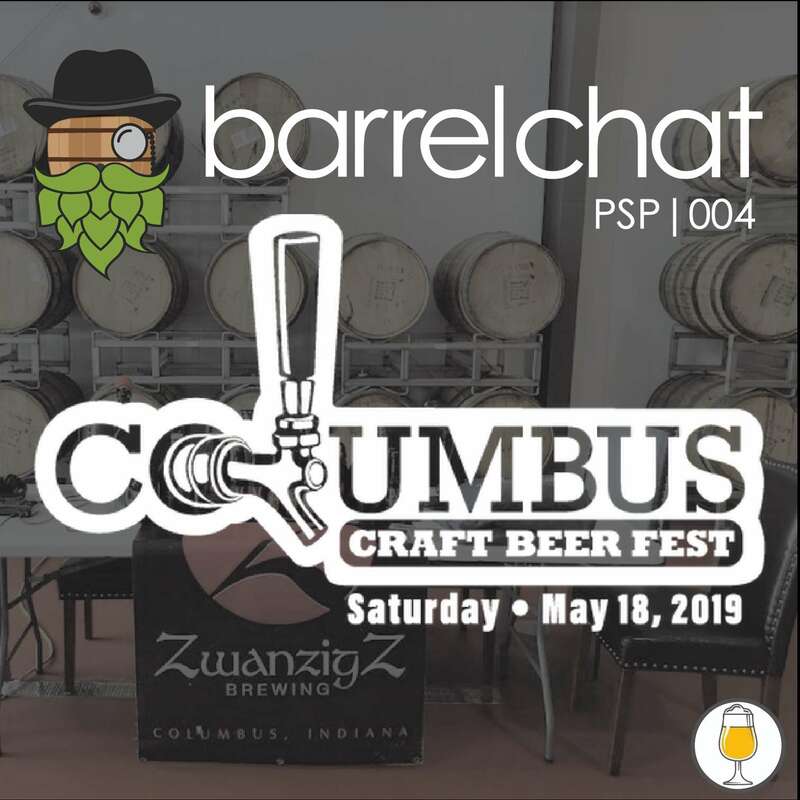 4 - 2019 Columbus Craft Beer FestMatt, Dustin, and Ant sat down with ZwanzigZ's Caroline Letzel to learn more about the upcoming Columbus Craft Beer Fest. Caroline provided the pertinent details, day, time, and pricing, but also discussed what makes the Columbus Craft Beer Fest different than other beer fests.You can purchase tickets and find additional information on their websiteSupport the Show* Patreon* ThreadlessSocial Media Links* Facebook* IG* Twitter* WebsiteCheck out our podcasting host, Pinecast. Start your own podcast for free, no credit card required, forever. If you decide to upgrade, use coupon code r-a28fff for 40% off for 4 months, and support Barrel Chat Podcast. 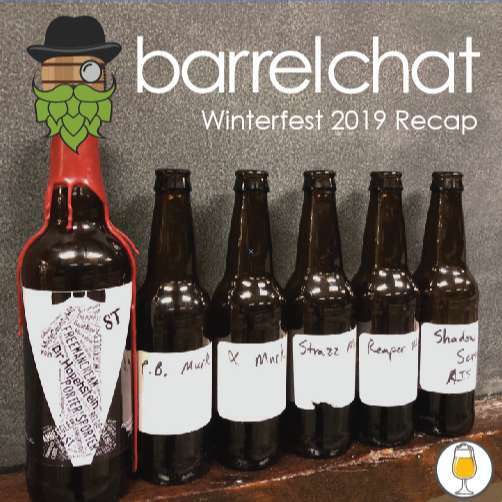 Winterfest 2019 RecapSponsors:Kopacetic Beer Factory Dustin, Matt, and Ant recap the two-day Winterfest beer event, talking about what they liked and disliked about the event itself along with discussing the beers they sampled. Throughout the show they sample Kopacetic Beer Factory 2018 Murkules variants.What we talked about:* Kopactic Beer Factory The 1st Russian Imperial Stout* Winterfest Friday Night Line Issues* Why do they use glass sample cups over plastic sample cups* Patron Shot #1* Kopacetic Beer Factory Peanut Butter Murkules* Did Winterfest Friday feel like a true VIP experience? * Beers we tried on Winterfest Friday* Kopacetic Beer Factory Espresso Murkules* Patron Shot #2* Beers we tried on Winterfest Saturday* Kopacetic Beer Factory Strazz Murkules* Sorry Corey, we meant Brokerage Brewing not Backstep Brewing! * Patron Shot #3Support the Show* Patreon* ThreadlessSocial Media Links* Facebook* IG* Twitter* WebsiteCheck out our podcasting host, Pinecast. Start your own podcast for free, no credit card required, forever. If you decide to upgrade, use coupon code r-a28fff for 40% off for 4 months, and support Barrel Chat Podcast. 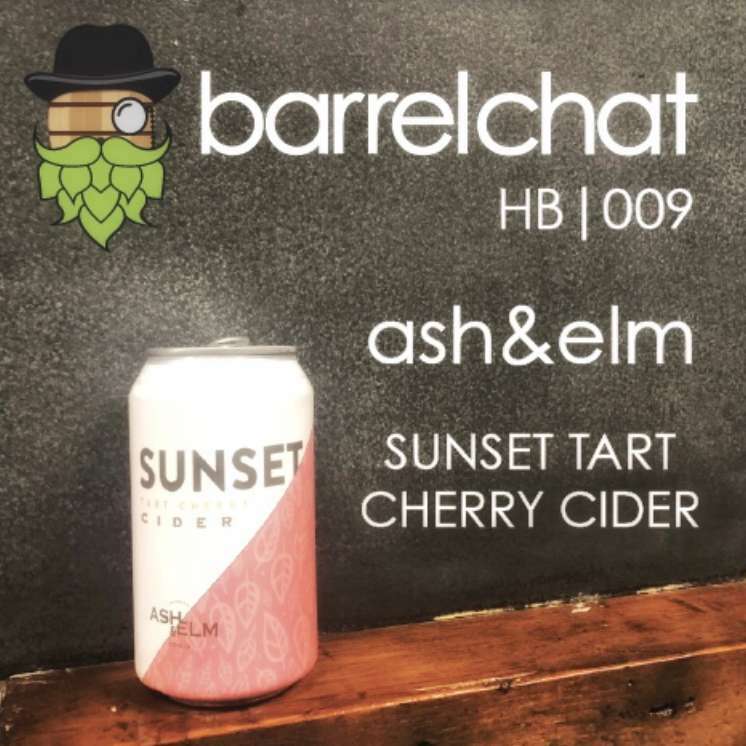 HB009: Ash & Elm Sunset Tart Cherry CiderSponsors: None Guest: Sean Webster of Monon Beverage BrokersMatt and Dustin welcome Sean Webster back onto the show to discuss one of their favorite ciders in Indiana, Ash & Elm's Sunset Tart Cherry. As usual, a rant about Untappd broke out, the guys discussed paying craft prices for light beer, broke down the big news of Books & Brews acquiring Flat12 Bierwerks, and reviewed several additional beers and ciders.What we talked about:* Ash & Elm Sunset Tart Cherry Cider* Another rant on Untappd ratings* Taste difference between Macro and Micro Ciders* Flat12 Bierwerks Pace Lap Light Cream Ale* What’s the point of paying craft prices for light beer? * Patreon Shoutouts & Patron Shot #1 & #2* Beer Can Appreciation Day* Cedar Creek Brewing Vanilla Bean Milk Stout* What’s Matt been drinking? * Matt’s review of Indiana on Tap Tasting Society event featuring Circle City Zymurgy Homebrew Club* Ash & Elm Marigold Chai * What’s Dustin been drinking? * News Story: Books & Brews buys Flat12 BierwerksSupport the Show* Patreon* ThreadlessSocial Media Links* Facebook* IG* Twitter* WebsiteCheck out our podcasting host, Pinecast. Start your own podcast for free, no credit card required, forever. If you decide to upgrade, use coupon code r-a28fff for 40% off for 4 months, and support Barrel Chat Podcast. PSP003 - 2019 Pours for PawsOur good friend Sean Webster is hosting his very first beer event, Pours for Paws. The event will feature 30 Breweries, 4 Wine/Cider Producers, and 2 Non-alcoholic producers and they hope to raise $20,000 for the Humane Society for Hamilton County.On this episode, Sean provides insight into the event and gives us a behind-the-scenes look as to what inspired him to create it. You can purchase tickets HERE and be sure to use promo code barrelchatpodcast to save $5 per ticket!Support the Show* Patreon* ThreadlessSocial Media Links* Facebook* IG* Twitter* WebsiteCheck out our podcasting host, Pinecast. Start your own podcast for free, no credit card required, forever. If you decide to upgrade, use coupon code r-a28fff for 40% off for 4 months, and support Barrel Chat Podcast. AD006 - Did the Government Send You Beer?Guest: Ant Blair of Craft Picks TVThis is our Patreon-only after show. We have released this episode to show our non-Patrons what they are missing out on.Topics from the show:* ABInbev Test Beer - Budweiser Discovery Reserve* Women in brewing here in Indiana* ABInbev creating a 0% ABV Leffe beer in Belgium* Kopacetic Beer Factory 2018 Murkules* Untappd’s lack of true editing* Difference between Untappd, Beer Advocate, and RateBeer* Evil Czech Barrel Aged Bigsby* Thoughts on Evil Czech and Goose Island’s new can designs* Thoughts on gypsy brewing* Deshutes Brewing 2016 Abyss* Random NBA talk* More Indiana breweries should be using barrels from Indiana wineries and distilleries* Will sours be the big hit of 2019? * Drink By Dates on labels should be a thingSupport the Show* Patreon* ThreadlessSocial Media Links* Facebook* IG* Twitter* WebsiteCheck out our podcasting host, Pinecast. Start your own podcast for free, no credit card required, forever. If you decide to upgrade, use coupon code r-a28fff for 40% off for 4 months, and support Barrel Chat Podcast. AD006: Did the Government Send You Beer? 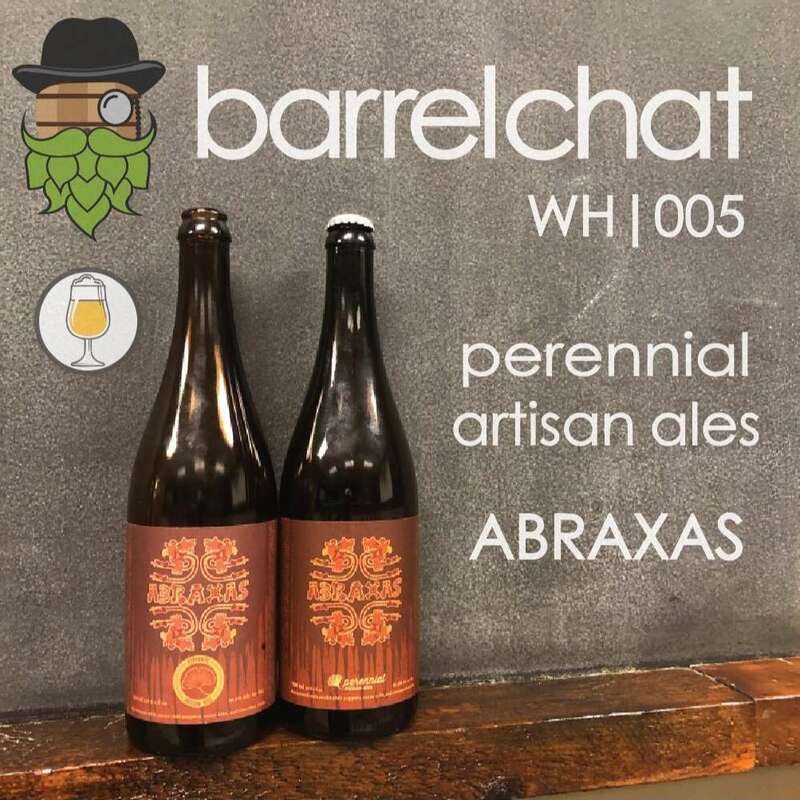 WH005 - Perennial Artisan Ales 2018 AbraxasSponsors: None. Interested in sponsoring our show? 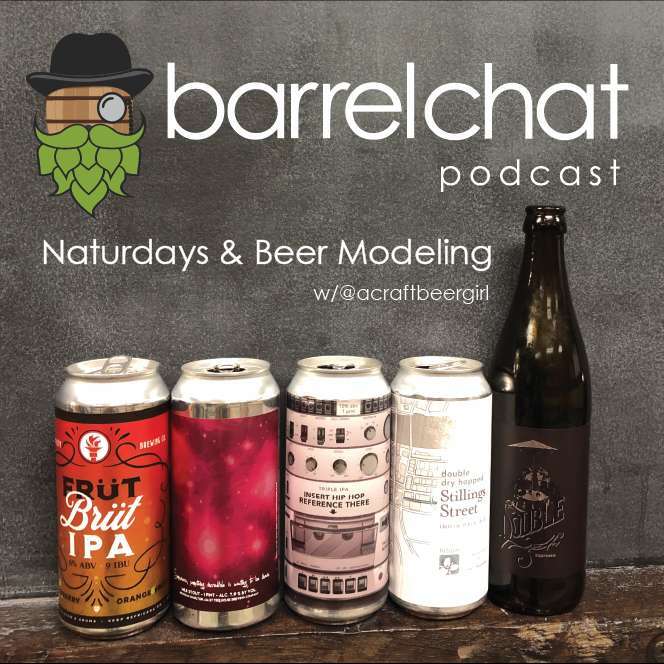 Contact us at BarrelChatPodcast@gmail.comGuest: Ant Blair of Craft Picks TVWhat we talked about:* Perennial Artisan Ales 2018 Abraxas* Letting beer age slightly vs drinking it fresh* History of Perennial Artisan Ales brew Cory King opening Side Project Brewery and Shared Brewing. * Patreon Shoutouts and Patron Shot #1* Review of our trip to the Upland Brewing Pump House* Review of our trip to ZwanzigZ* Review of our trip to 450 North Brewing* Patron Shot #2* Matt’s Ke$ha Drunk StorySupport the Show* Patreon* ThreadlessSocial Media Links* Facebook* IG* Twitter* WebsiteCheck out our podcasting host, Pinecast. Start your own podcast for free, no credit card required, forever. If you decide to upgrade, use coupon code r-a28fff for 40% off for 4 months, and support Barrel Chat Podcast. 40sSponsors: None. You interested? 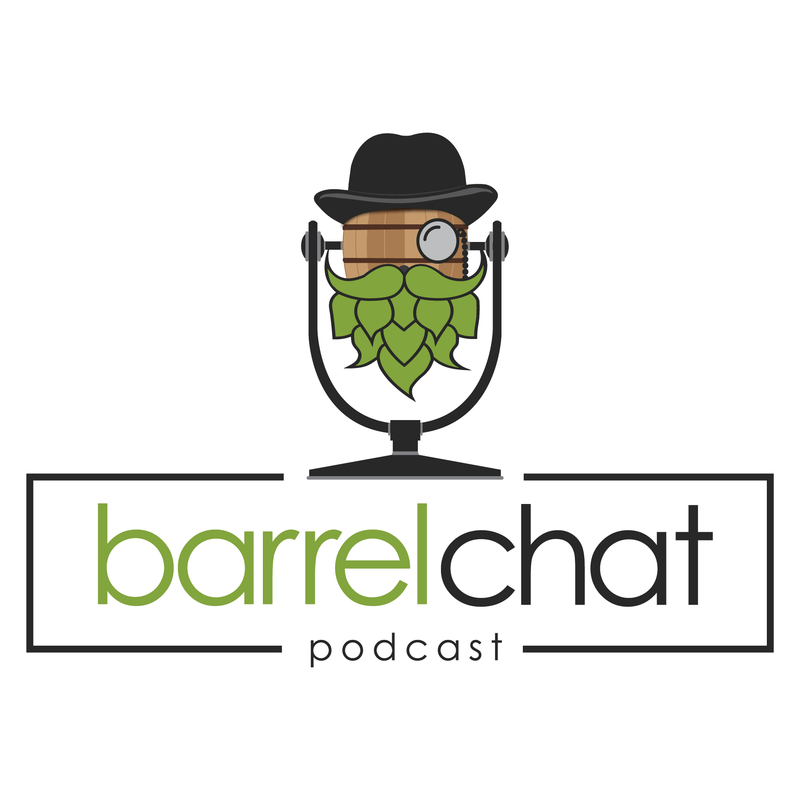 Email us at BarrelChatPodcast@gmail.com! Our first episode of the new year and it's our 40th episode so you know we had to do it right by bringing 40s to drink.What we talked about:* Why is no one Randalling Malt Liquor? * King Cobra* What’s the profit margin on 40s? * Difference between beer and malt liquor* Patreon Shoutout and Patron Shots* Curtain Giveaway Winner Announcement! * Beers Matt has been drinking* Matt’s first trip to Stoney’s Liquors* Beers Dustin has been drinking* Second round of Patron Shots* New Years Eve TV Viewing* Our favorite Beer of 2018* Our favorite Brewery of 2018* Our favorite House of Beer episode of 2018* Our favorite Whale Hunters episode of 2018* Our favorite interview episode of 2018* Will the Haze Craze die out in 2019?Support the Show* Patreon* ThreadlessSocial Media Links* Facebook* IG* Twitter* WebsiteCheck out our podcasting host, Pinecast. Start your own podcast for free, no credit card required, forever. If you decide to upgrade, use coupon code r-a28fff for 40% off for 4 months, and support Barrel Chat Podcast. BC023: Talking Juice Distribution w/Craftroads BeverageSponsors: Kopacetic Beer FactoryMatt and Dustin met up with Emma, Taylor, and Mike of Craftroads Beverage to learn more about the business, how beer distribution works, and sample a few of the beers they distribute throughout the state. If you want to play along at home, take a drink every time Mike says “juice.” Might we suggest you grab a session ale or some other low abv beverage as you follow along.What we talked about:* What Craftroads Beverage does for the Indiana craft beer community* How Craftroads Beverage got its start* Rochester Mills Brewing Milkshake Stout* How out-of-state brewery relationships begin* How social media has a major impact for breweries who use it vs those who don't* Avery Brewing Out of Mind Coffee Stout* How many breweries/meaderies/cideries Craftroads currently represents* Emma’s reasoning for moving from brewery sales rep to distributor sales rep* Rochester Mills Brewery Juice Bigelow Hop Gigolo* Differences between selling out-of-state beers vs in-state beers* What's the easiest brand to sell? * Melvin Brewing Drunken Master Rotational Imperial IPA* What's the process for deciding with beer, liquor, or grocery stores to work with* What's the process of setting up a tasting with one of these stores* Setting up the 12 Milkshake Stouts of Christmas events* The Pioneer Series* Avery Brewing Company TweakSupport the Show* Patreon* ThreadlessSocial Media Links* Facebook* IG* Twitter* WebsiteCheck out our podcasting host, Pinecast. Start your own podcast for free, no credit card required, forever. If you decide to upgrade, use coupon code r-a28fff for 40% off for 4 months, and support Barrel Chat Podcast. 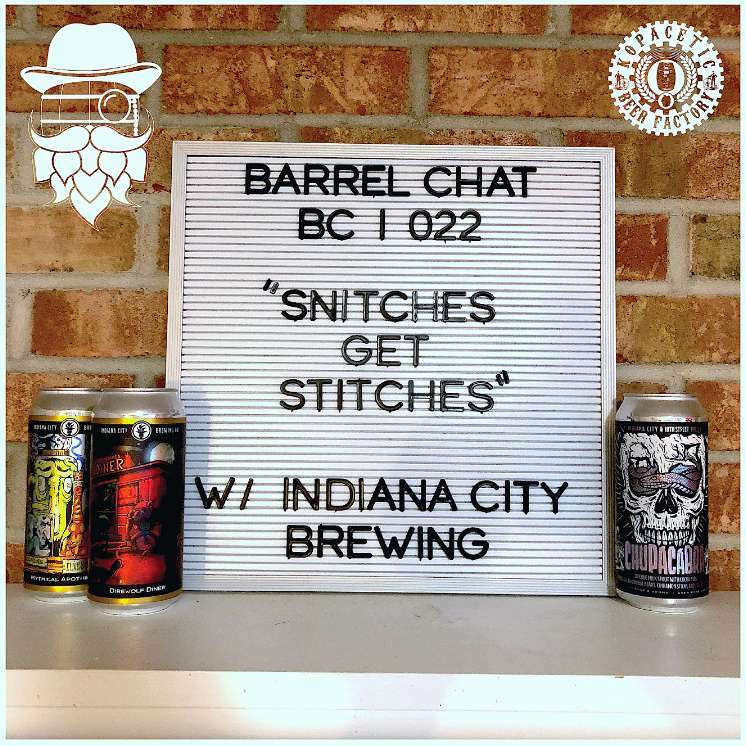 BC022 - Snitches Get Stitches w/Indiana City Brewing Co.Guest: Ryan Oesch and Nick Shadle, Brewers from Indiana City Brewing Co.Sponsors: Kopacetic Beer FactoryWhat we talked about* Welcome to our first LIVE episode! * Ubering to Monticello, IN* Indiana City’s Cratchit’s Ale* Ryan’s homebrewing background* Nick’s homebrewing background* Extract vs All Grain brewing difference* Indiana City’s Ice, Ice Hazy NEIPA* What makes a Hazy beer hazy* What Indiana City beers are previous homebrew recipes of theirs? * Indiana City’s Mythical Apothecary* Indiana City’s Cranberry Primo Gose* How does a Gose differentiate itself from other sours? * Patreon Patron Shot and Shoutouts* Indiana City/18th Street’s Chupacabra* Collaboration Day with 18th Street BrewerySupport the Show* Patreon* ThreadlessSocial Media Links* Facebook* IG* Twitter* WebsiteCheck out our podcasting host, Pinecast. Start your own podcast for free, no credit card required, forever. If you decide to upgrade, use coupon code r-a28fff for 40% off for 4 months, and support Barrel Chat Podcast. 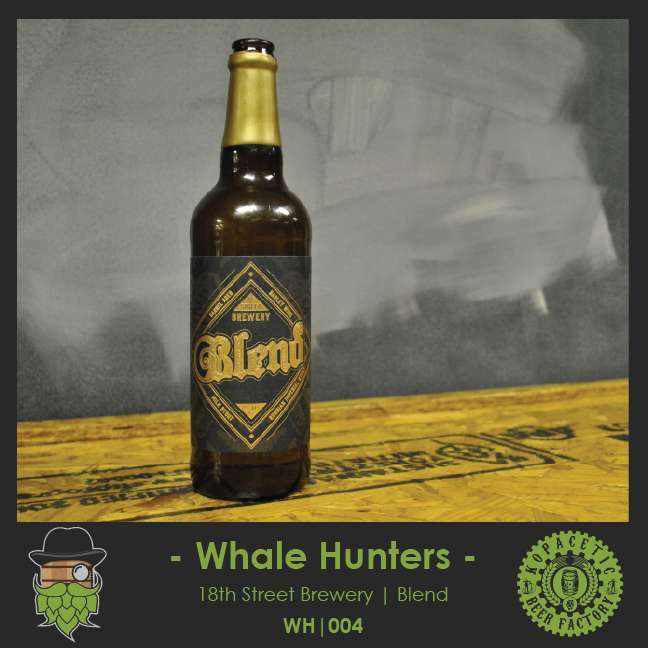 BC022: Snitches Get Stitches w/Indiana City Brewing Co.
Whale Hunters 004 - 18th Street Brewery BlendGuest: Kevin Boyd of Indiana City Brewing Company and Drinking Craft.Sponsor: Kopacetic Beer FactoryDiscussion Topics:* Kopacetic Kwad recant (turns out we ruined the beer)* Whale Beer - 18th Street Brewery Blend* Indiana City Brewing and 18th Street Brewery Collaboration* Patreon Shoutouts* What we've been drinking lately* Kevin attended San Diego Beer Week* Pabst Brewing Co. suing MillerCoors* Indiana City Brewing's Ale from the Crypt 2019 eventBeers Drank/Discussed:* 18th Street Brewery Blend* Books & Brews King's Lears Fool* Books & Brews The Stout of Evermore Peanut Butter Variant* Untitled Art Pineapple Sherbet* Indiana City Brewing Post. Festival TPA* Prairie Artisan Ales Deconstructed BOMB! Series* Revolution Brewing Jamo-nilla* Devil's Trumpet Brewing Co. Heaven's CourtCheck out our podcasting host, Pinecast. Start your own podcast for free, no credit card required, forever. If you decide to upgrade, use coupon code r-a28fff for 40% off for 4 months, and support Barrel Chat Podcast. 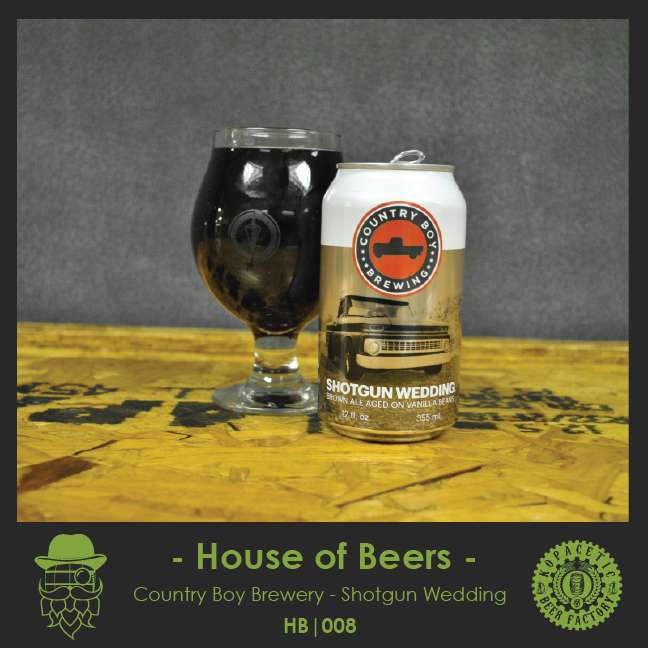 House of Beer: EP8 - Country Boy Brewing Shotgun WeddingHoly crap we've made it one year! Yay us! On this exciting episode we breakdown Country Boy Brewing's Shotgun Wedding Brown Ale aged on Vanilla Beans, talk about the beer we've been drinking, and discuss the Brewers Association's new craft beer definition proposal.Presenting Sponsor: Kopacetic Beer FactoryFollow Us: Facebook, Twitter, InstagramWays to support the show:Patreon,Threadless ShopCheck out our podcasting host, Pinecast. Start your own podcast for free, no credit card required, forever. If you decide to upgrade, use coupon code r-a28fff for 40% off for 4 months, and support Barrel Chat Podcast. 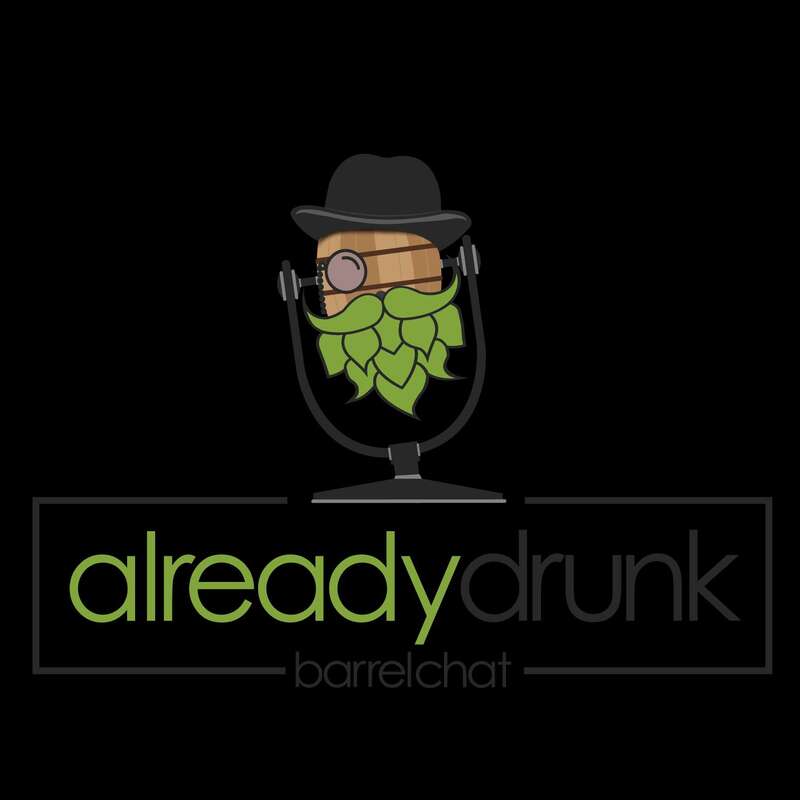 Whale Hunters EP 3 - Avery Brewing RumpkinHappy Halloween and welcome aboard the SS Barrel Chat! On the menu today is what we thought was fresh, caught Avery Rumpkin but turns out it had been aged for over a year. Barrel Chat Super Fan Greg McQueary joins us to discuss all things pumpkin, including his award-winning Pumpkin Ale homebrew and the idea to start an all-pumpkin brewery.Presenting Sponsor: Kopacetic Beer FactoryFollow Us: Facebook, Twitter, InstagramWays to support the show:Patreon,Threadless ShopCheck out our podcasting host, Pinecast. Start your own podcast for free, no credit card required, forever. If you decide to upgrade, use coupon code r-a28fff for 40% off for 4 months, and support Barrel Chat Podcast. House of Beers Episode 7: Bare Hands Brewery Thai.P.A.On this episode, we are joined by Jake Seward of Indy Craft Brew and we decided to sample another Northern Indiana brewery, Bare Hands Brewery, because they are making phenomenal beer. Thai.P.A. is their highly-rated core IPA. We discuss the ins-and-outs of the beer and what we do and do not like about the brew.Instead of comparing the IPA to the BJCP Style Guide (sorry it was the third American IPA in seven episodes) we had yet another discussion about Untappd. We know you love it!We finish the show by talking about the beers we've been drinking and the new breweries we've been too. Lots of great beer, but a 50/50 split on the brewery experiences. Presenting Sponsor: Books & BrewsFollow Us: Facebook, Twitter, InstagramWays to support the show:Patreon (Make sure you check out the new $10 tier) and ourThreadless ShopCheck out our podcasting host, Pinecast. Start your own podcast for free, no credit card required, forever. If you decide to upgrade, use coupon code r-a28fff for 40% off for 4 months, and support Barrel Chat Podcast. 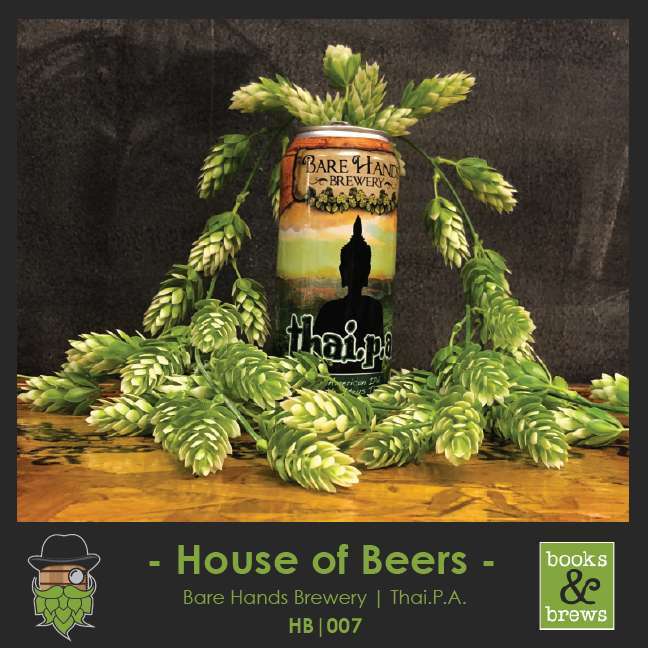 HB007: Bare Hands Brewery Thai.P.A. This is a special episode from our friends over at IndyCraftBrew.com. We teamed up with them to bring you the podcast version and you can check out the video version, filmed and edited by Moski Homebrew, on Indy Craft Brew's YouTube Channel. On this episode, Jake Seward and Mike Lawton from Indy Craft Brew sat down with Brewer John, head brewer from Triton Brewing. They learned more about how John got started as a brewer, how Triton came to be, and more about the beers they brew.Check out our podcasting host, Pinecast. Start your own podcast for free, no credit card required, forever. If you decide to upgrade, use coupon code r-a28fff for 40% off for 4 months, and support Barrel Chat. 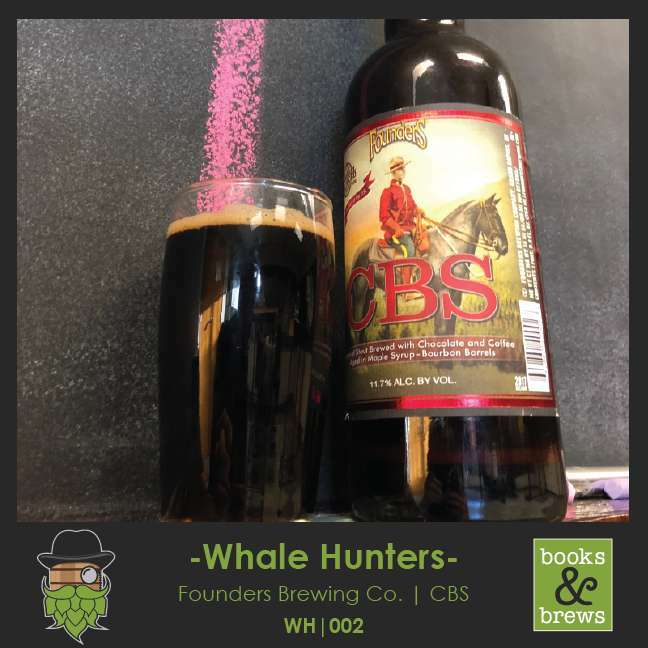 Whale Hunters EP 2 - Founders CBSWe caught Founders Canadian Breakfast Stout while Whale Hunting and decided to share it with our friends Andrew (Saf) and Dustin from the DrinkIN GeekOUT Podcast. This is an amazing beer that was well worth the hype surrounding its release last year. During the rest of the episode, we sample beers from Sun King Brewing, 450 North Brewing Co., and Brew Link Brewing Co. To finish the show we discuss which Indiana brewery we would each select if we could only drink from one for the rest of our lives. I think the answers may surprise you.Presenting Sponsor: Books & BrewsFollow Us: Facebook, Twitter, InstagramWays to support the show:Patreon,Threadless ShopCheck out our podcasting host, Pinecast. Start your own podcast for free, no credit card required, forever. If you decide to upgrade, use coupon code r-a28fff for 40% off for 4 months, and support Barrel Chat.